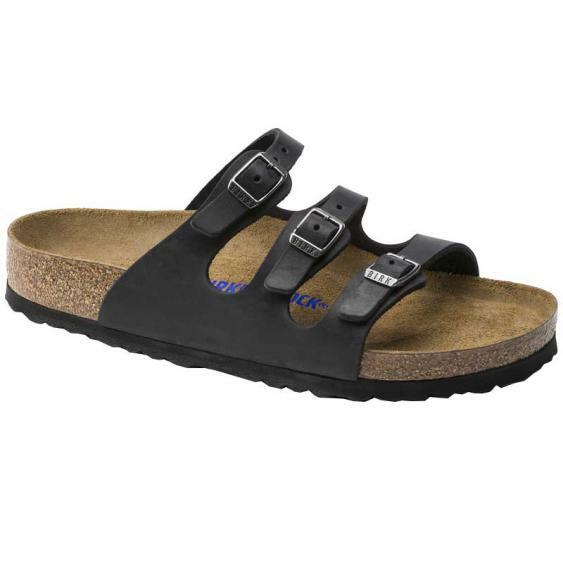 Capture foot-friendly comfort with the Florida Soft Footbed sandal from Birkenstock. The slim straps are fully adjustable for a perfect fit. The contoured footbed follows your foot shape for a natural walking position. The cork and latex midsole assures shock-absorbing abilities for travel to beachside.